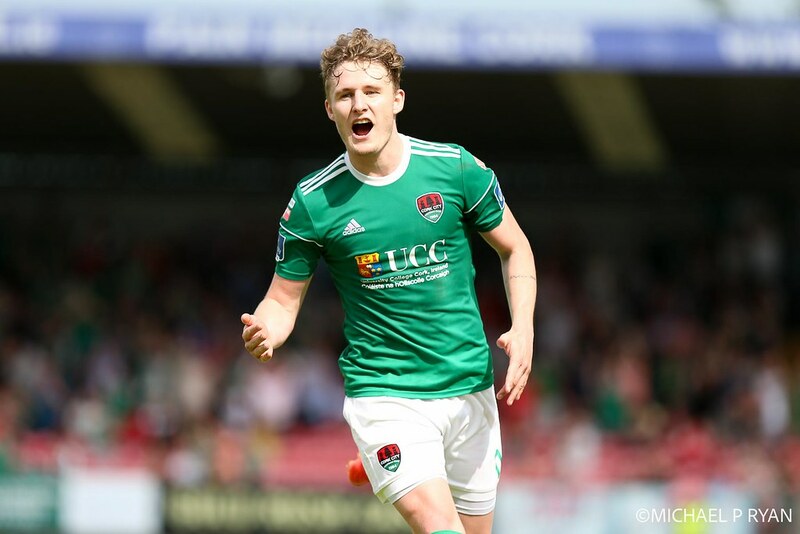 Cork City stretched their winning run to five games with a 4-2 win over Derry City and, in doing so, regained top spot in the Premier Division. 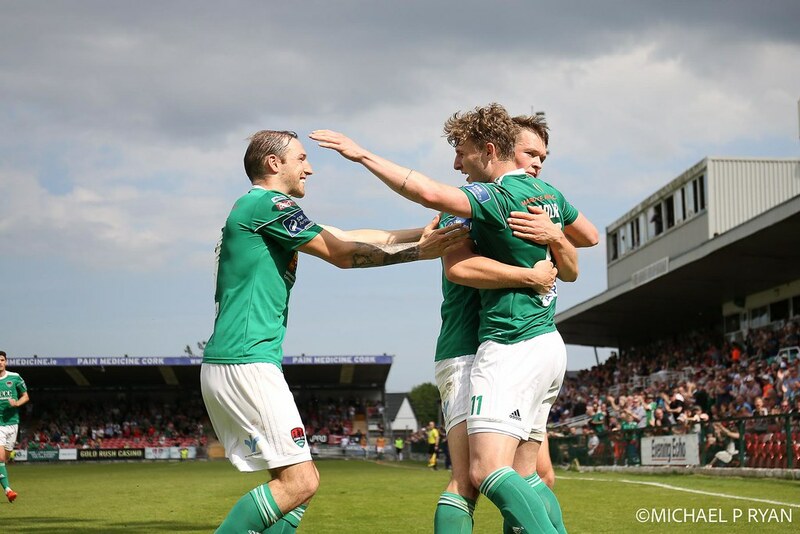 Karl Sheppard scored in either half, while Kieran Sadlier and Graham Cummins were also on target, as the Rebel Army used their game in hand to move above Dundalk in the table. 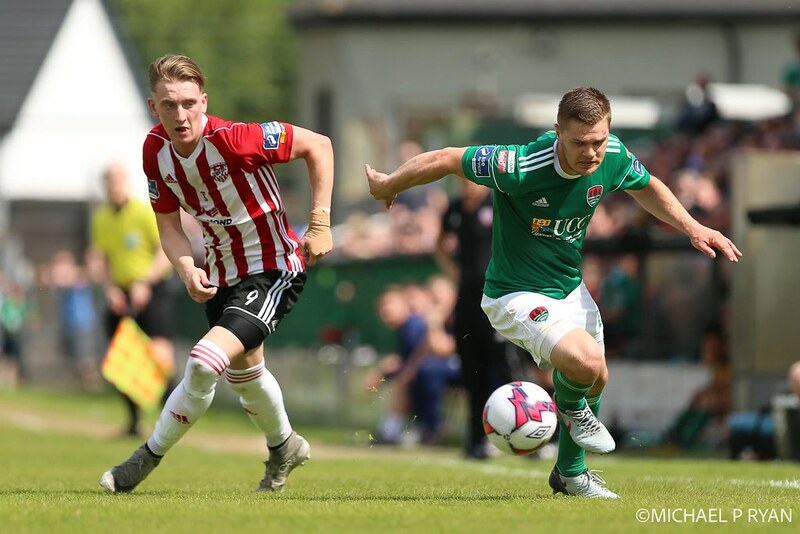 It was by far a simple victory, however, as two in four minutes from Ronan Curtis and Rory Hale threatened a shock before the Leesiders put the game away in the last quarter. 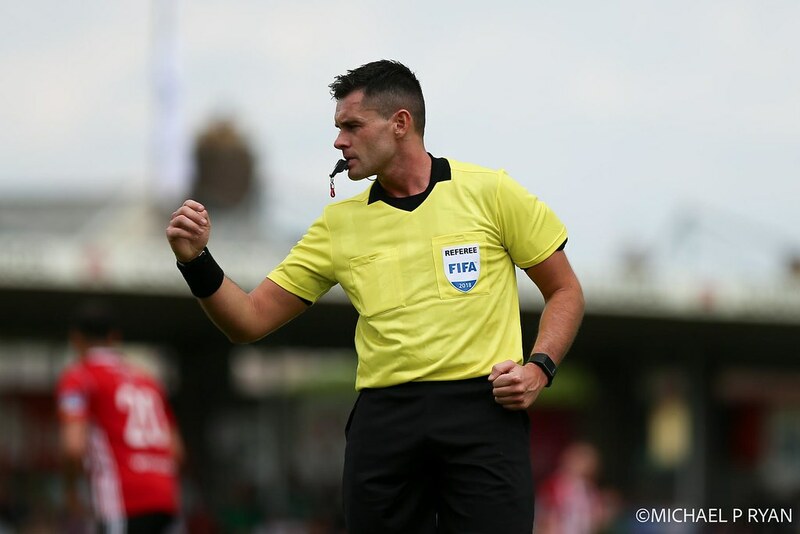 After Cork’s result in the Munster derby was overshadowed by Dundalk’s destruction of Shamrock Rovers, it was essential to win here to put the pressure back on their rivals. And the recent form of both sides only pointed to a home win. 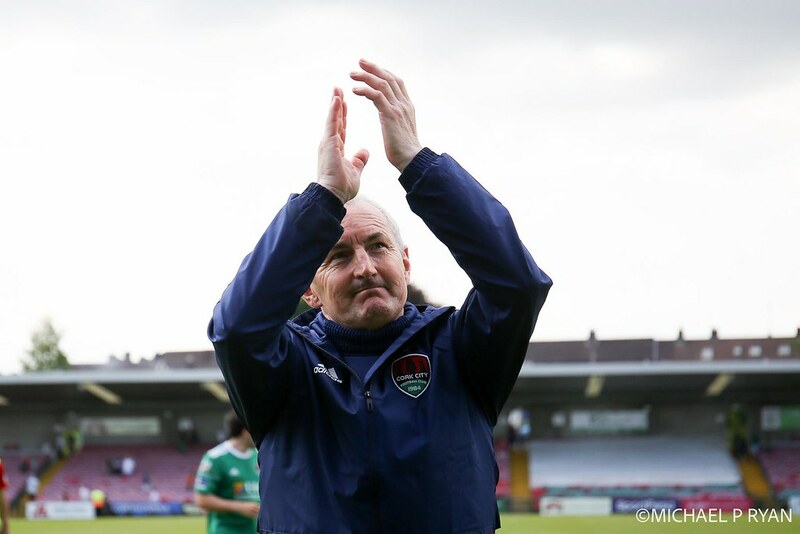 While City are undefeated since the Rovers match, Derry have only taken four points from 21. Both teams changed up their starting eleven. 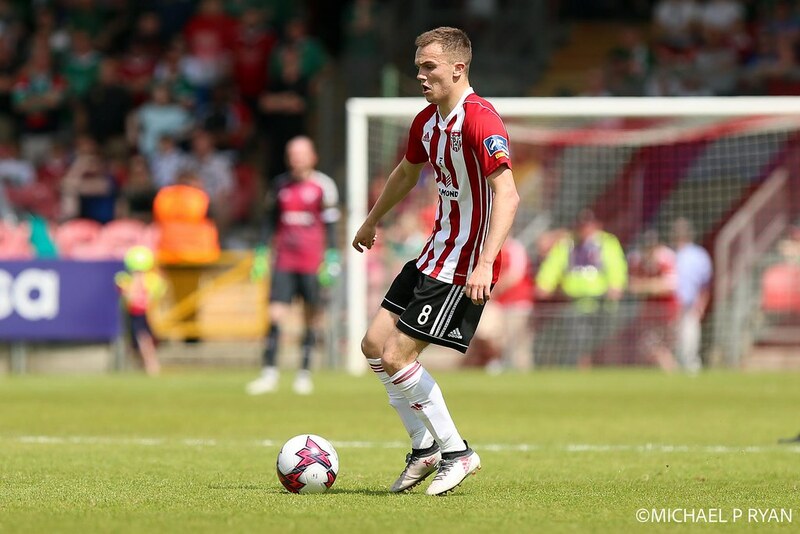 Derry brought in Jamie McDonagh, Eoin Toal and Rory Patterson for Conor McDermott, Ben Doherty and Nicky Low. 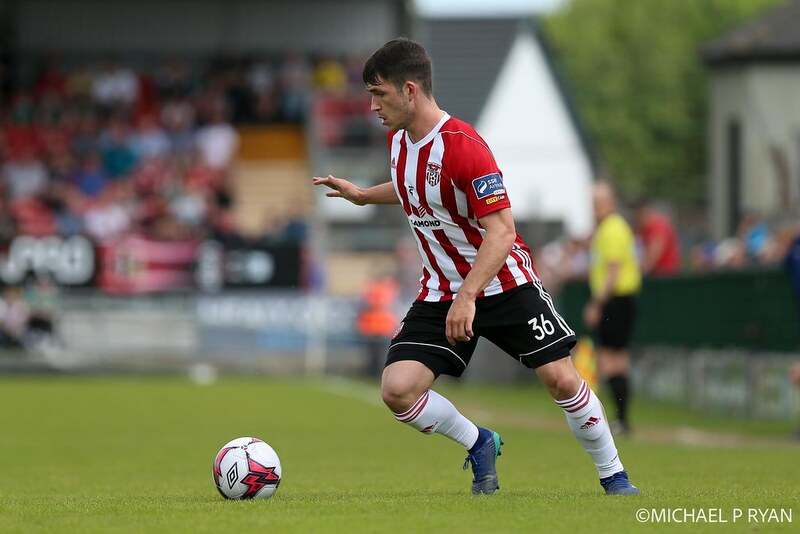 Good performances off the bench by Sheppard were rewarded with a starting position and the captain’s armband for City. And it was his good form that was evident from the start. He looked willing to provide width down the right and was involved in two early attacks before he struck for the opener. On Friday, he provided the cross for Cummins. This afternoon that was reversed. A piece of trickery on the left saw a decent cross onto the head of the rebel attacker. 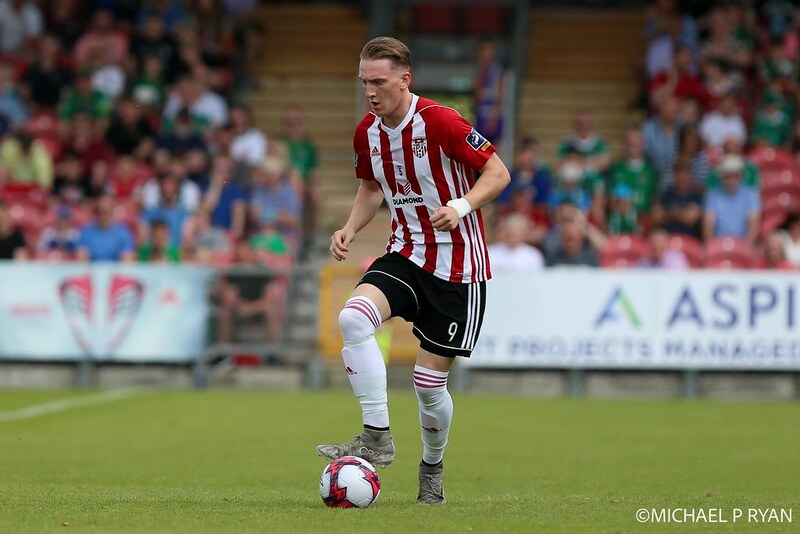 Derry might have expected a long 90 minutes ahead, but the anticipated flurry of goals did not materialise. 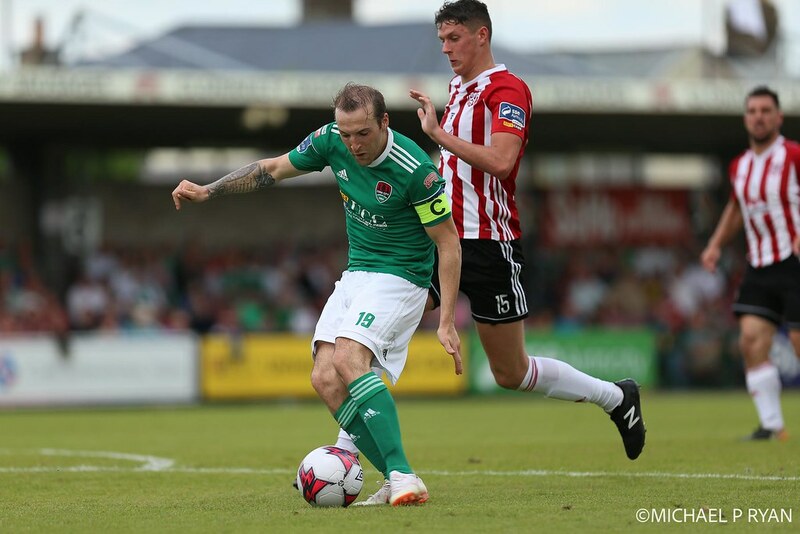 Jimmy Keohane skied an effort following a link-up between Sadlier and Sheppard, Barry McNamee's free kick was too high to cause problems and Sheppard had an effort well-blocked. At the other end, Curtis found himself in room and tried to curl a shot past McNulty on the swerve. It just failed to come off. 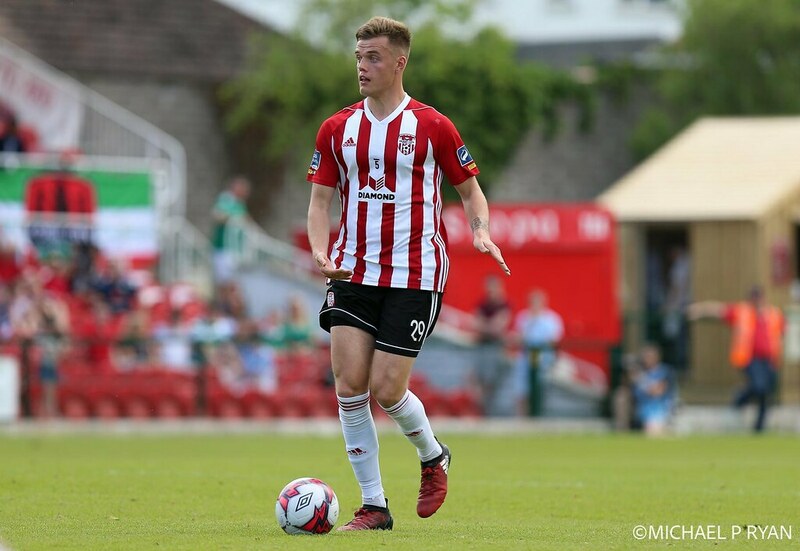 Ronan Hale and Aaron McEneff combined before the latter put his chance just wide. 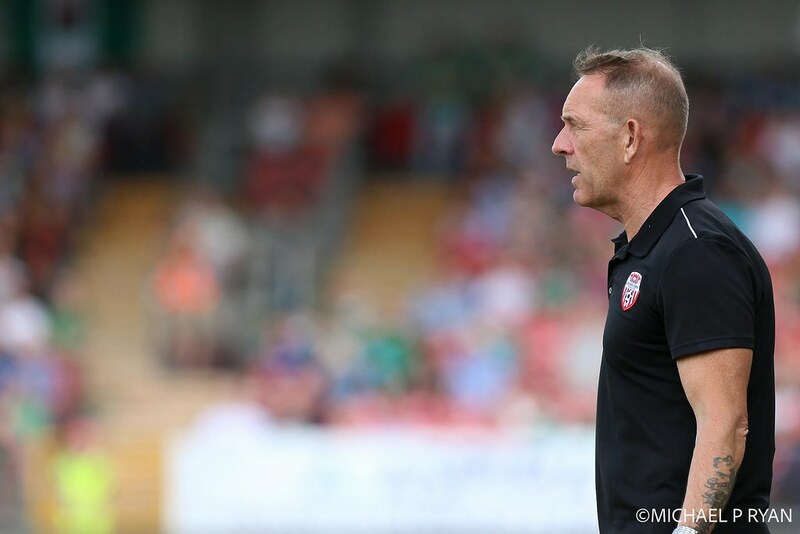 Kenny Shiels was keen to add his encouragement as they began to grow into the game. Momentum was still in the balance before the interval but seemed to swing slightly toward the home side. 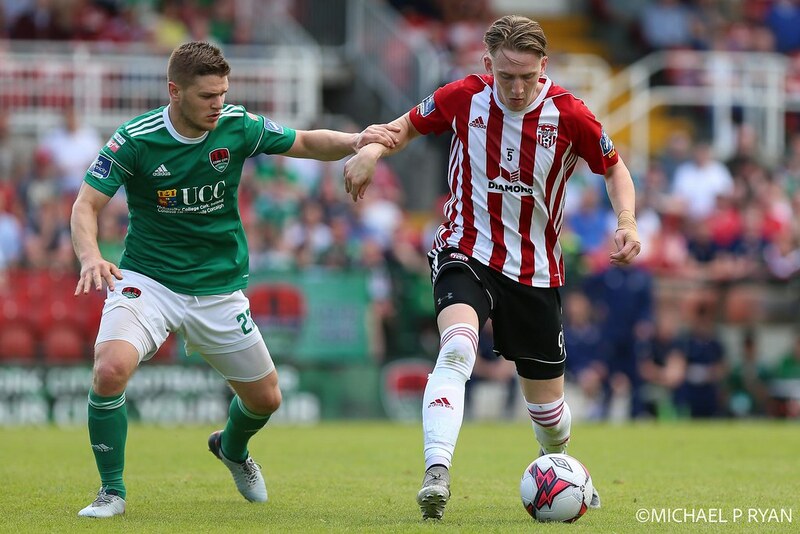 Buckley just failed to connect to a right wing cross and Ger Doherty did well to win the ball from Cummins as he was poised to strike. Nevertheless, Derry felt they were in the game. 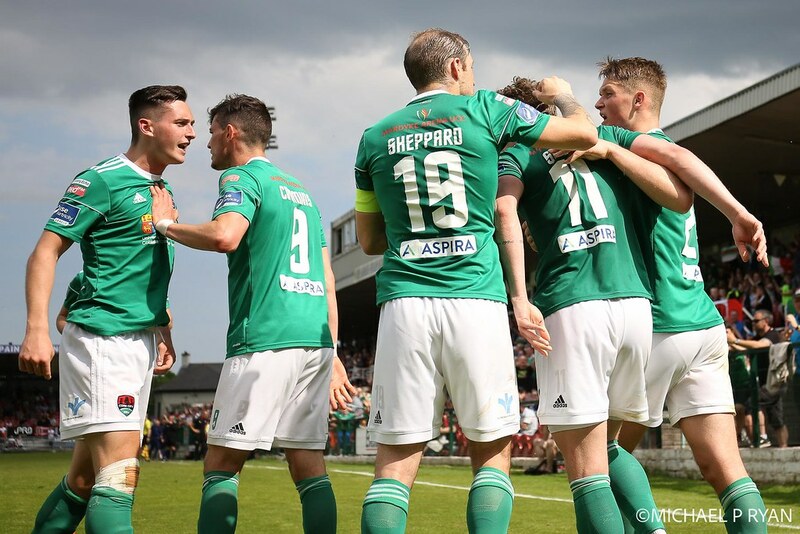 That seemed to have changed immediately after the second half kicked off, when Garry Buckley laid the ball off to Sheppard, who angled a drive into the bottom corner. 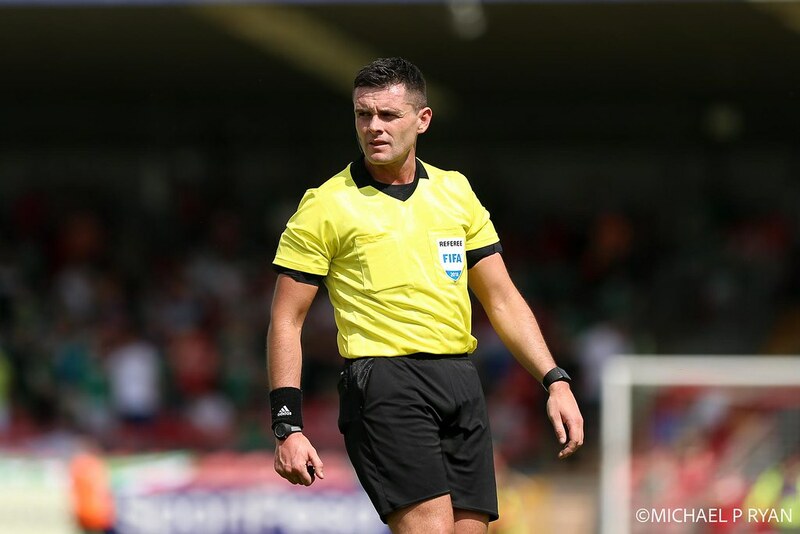 Cummins had a close range header ruled out for off-side and Buckley had another close call and the momentum continued to be with the home side. Back came Derry again. 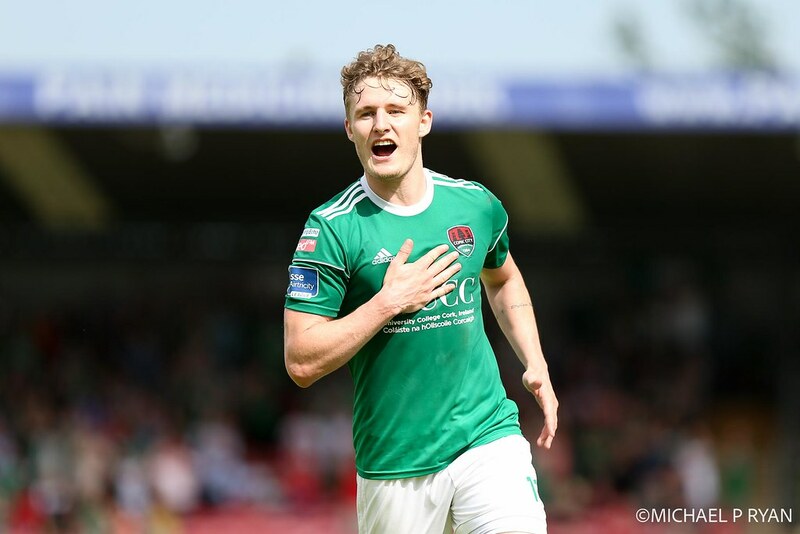 Darren Cole’s free-kick dipped but over the bar, Patterson caused anxiety down both flanks and Curtis continued to be a headache for the defence. It was somewhat out of the blue that Curtis provided hope for the visitors. 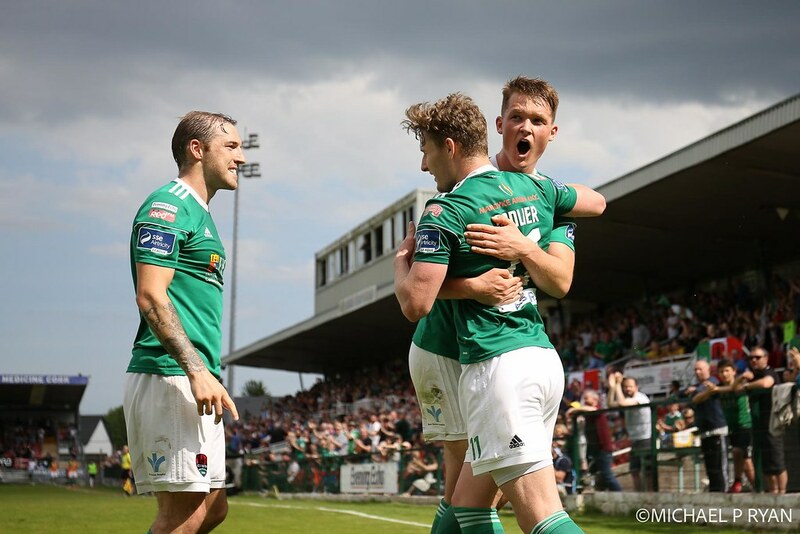 A speculative effort caught McNulty by surprise and they had a lifeline. If that was a shock, then more was to arrive minutes later. 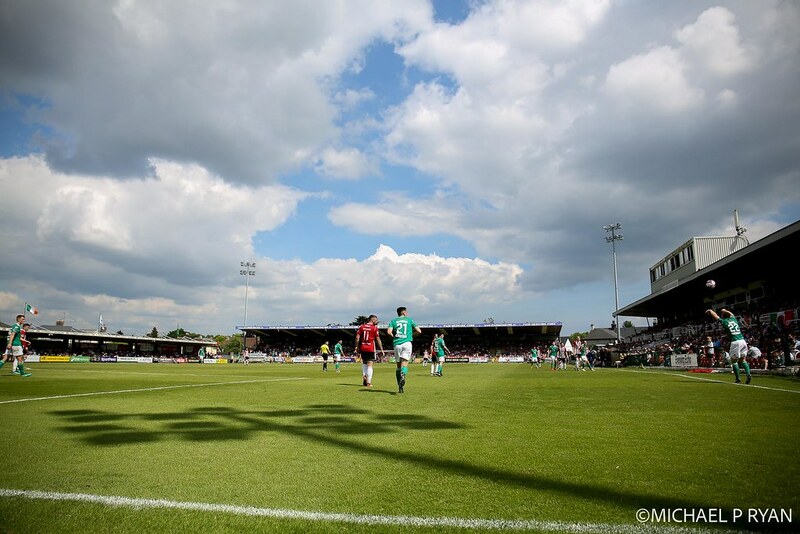 Hale was found in too much space down the right of the box and drove powerfully past Mark McNulty. 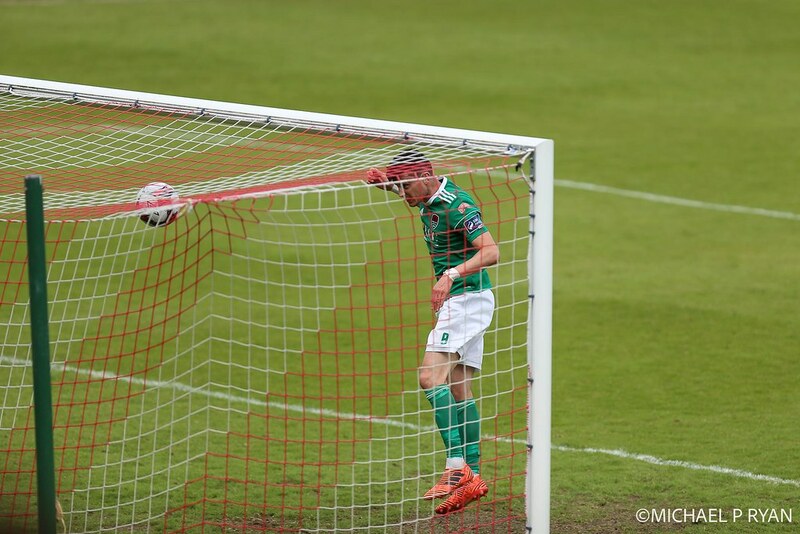 The keeper would have been annoyed to have been left exposed and to concede at his near post. From being in a comfortable position, the game was now level once more. 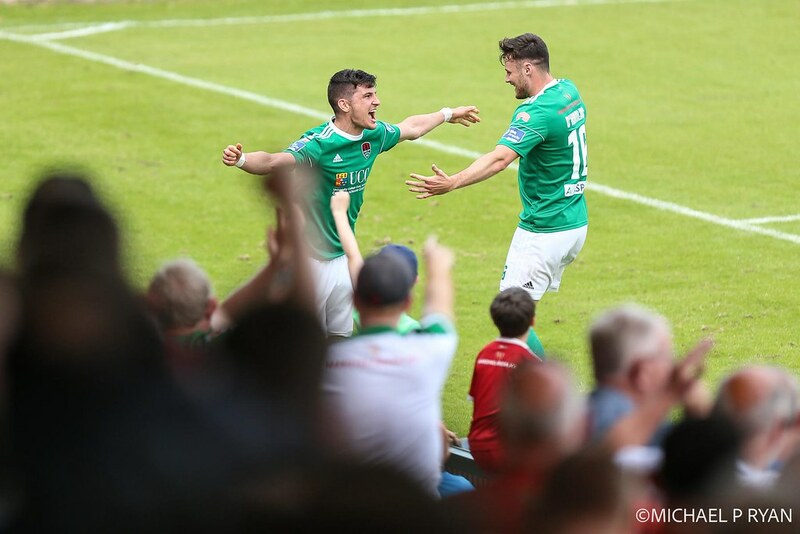 That was until it swung back in Cork’s favour. 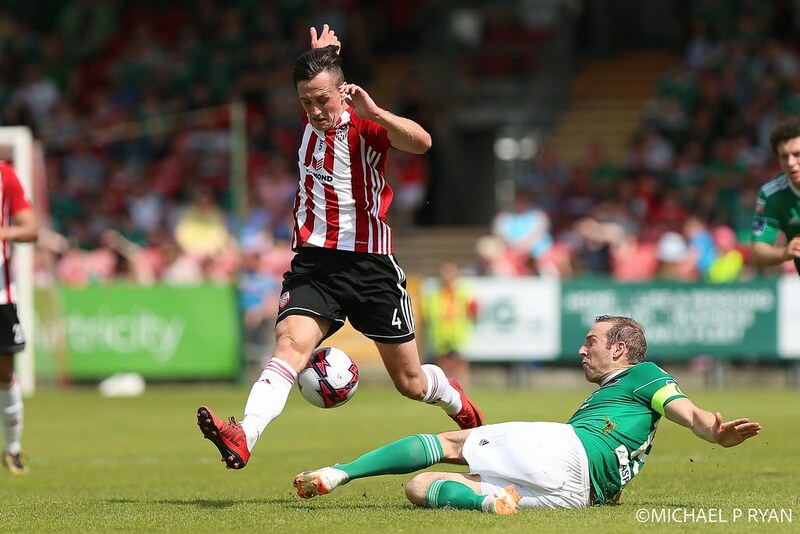 Shiels was angry at the referee for blowing up for a foul on Buckley outside the area. 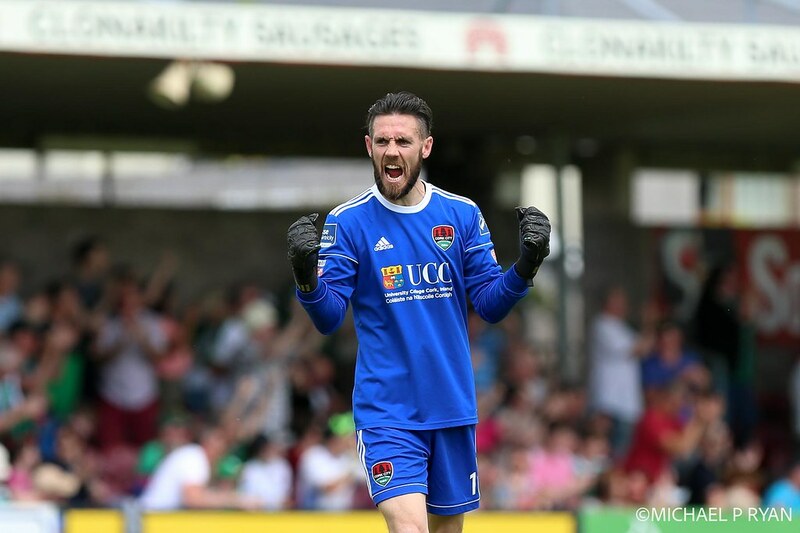 Seeing Sadlier swing a brilliant free-kick into the top corner made him feel no better. The pace was frantic as both sides tried to assert a level of control. Hale put an effort past the post when well set up, fespite the defence screaming for an offside flag. Both sides traded shots and blocks before the killer blow was delivered by Cummins. He latched onto a simple long ball. His initial header struck the bar but he scored the follow-up. Derry did not relent. 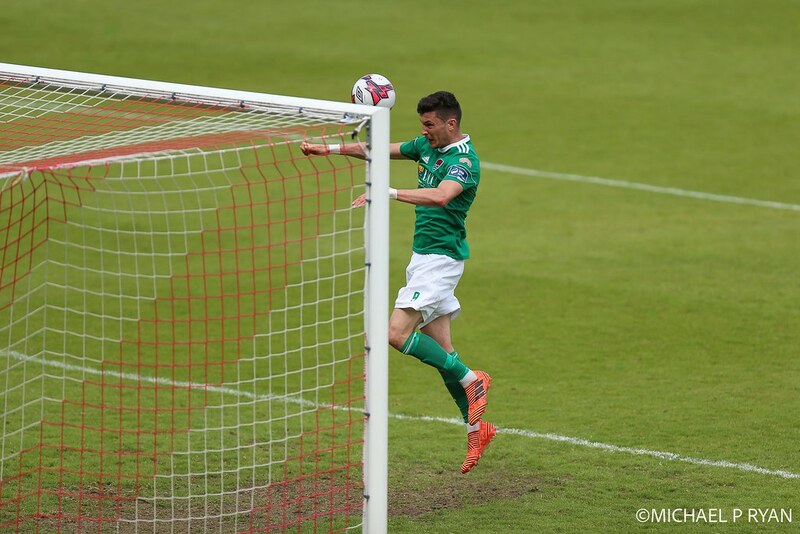 Cole flicked a header past the post while a Curtis free-kick was punched up rather than out before being cleared. A persistent sense of unease remained. It was all to naught however. 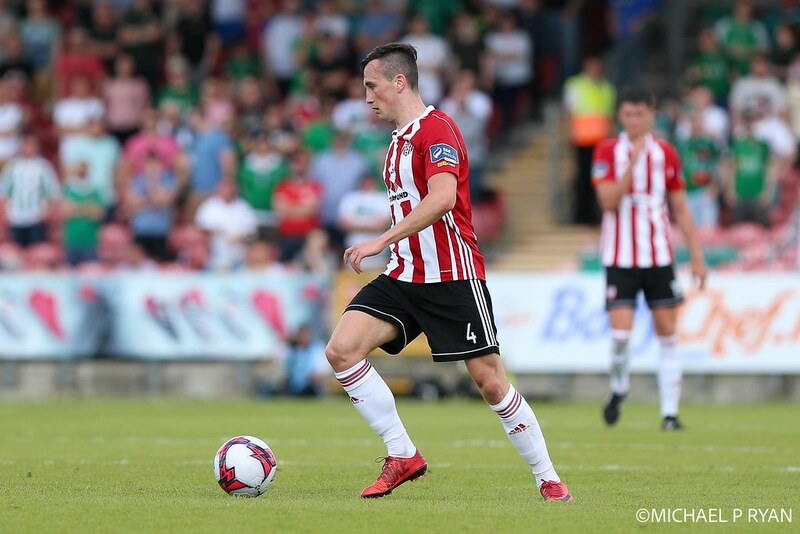 It was more of a sense of relief than joy at the end, and frustration in the Derry camp ahead of a long journey home. 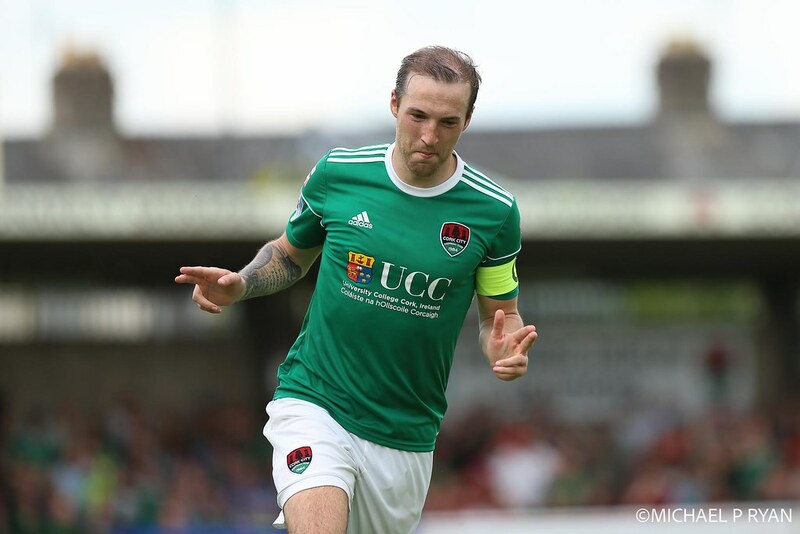 Cork City: Mark McNulty; Colm Horgan, Conor McCarthy, Sean McLoughlin, Shane Griffin (Danny Kane 74); Jimmy Keohane, Garry Buckley Barry McNamee; Kieran Sadlier, Karl Sheppard; Graham Cummins (Aaron Barry 85). 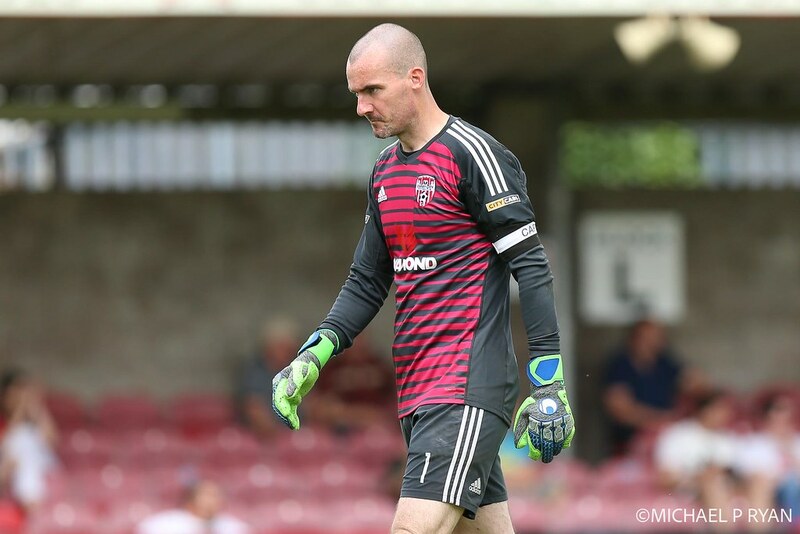 Subs not used: Peter Cherrie (gk), Gearóid Morrissey, Alan Bennett, Michael Howard. 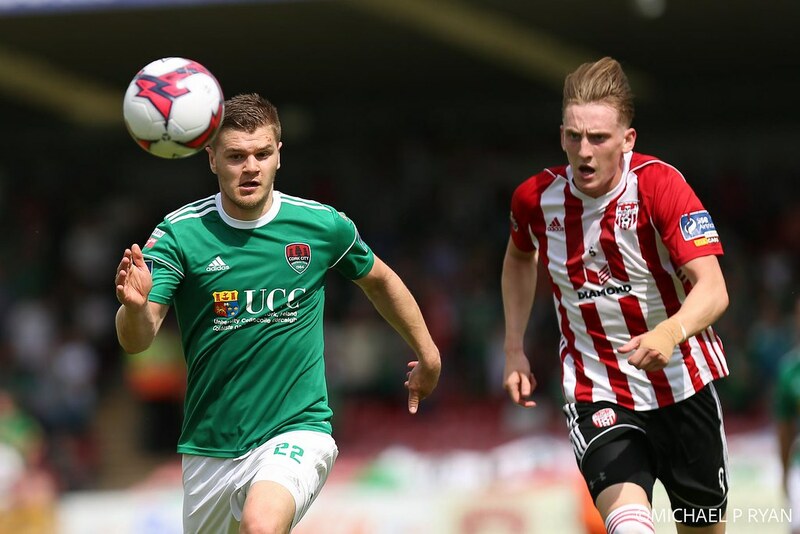 Derry City: Gerard Doherty; Darren Cole, Eoin Toal, Gavin Peers (Niall Logue 61), Jack Doyle; Jamie McDonagh, Aaron McEneff, Rory Hale; Ronan Curtis, Rory Patterson, Ronan Hale. 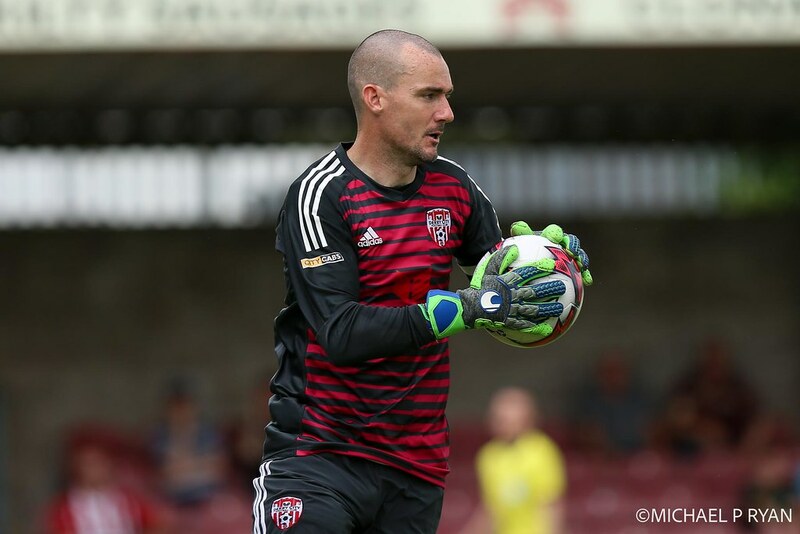 Subs not used: Eric Grimes (gk), Conor McDermott, Cathal Farren, Ben Doherty, Aidy Delap, Nicky Low. 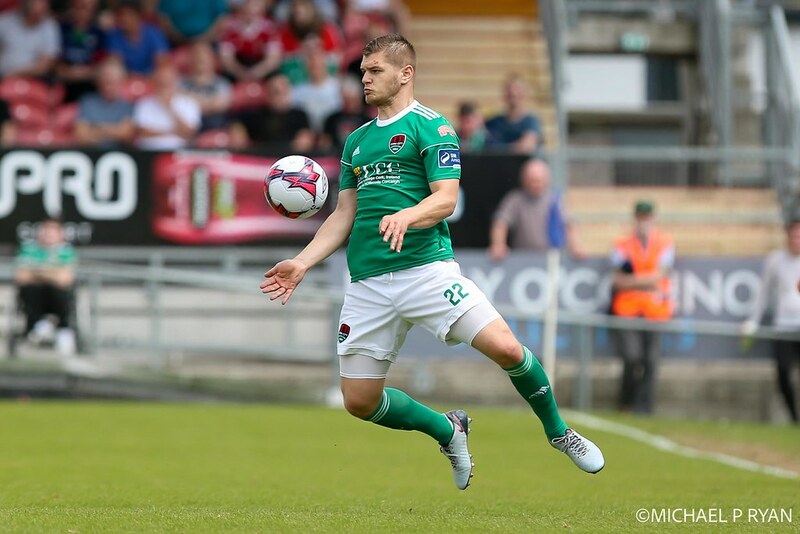 Extratime.ie Player of the Match: Karl Sheppard (Cork City).